Birthplace : Sandwich, Massachusetts, U.S.
Gustavus Swift headed a large American corporation that revolutionized the meatpacking industry by using refrigerated railroad cars, strict cost controls at his plants, and "vertical integration." His practices helped overcome consumer mistrust of processed meat and inspired the vast, mechanized meatpacking businesses depicted in Upton Sinclair's infamous 1906 novel The Jungle. Chicago-based meatpacker Swift and Company earned its fortune by organizing the large-scale slaughter and processing of cattle in the Midwest and shipping its products to East Coast population centers via refrigerated railroad cars. Gustavus Swift, the company's founder, battled public distrust for meat processed hundreds of miles away and found many profitable uses for byproducts of the slaughterhouse. Swift, a pioneer of the "vertical integration" concept, was obsessed with controlling costs at his plants and offices. Swift was born on June 24, 1839, near Sandwich, on Massachusetts's Cape Cod Bay. He was one of 12 children and was educated at a local school, which he left at age 14. He joined his older brother, Noble, in the butcher's shop he ran but was unhappy with the lack of prospects for advancement. At 16, he decided to move to Boston, but his father loaned him $25 as an inducement to stay. Swift used $19 of it to buy a heifer from a local farmer, slaughtered it, and sold the beef door to door. He made a $10 profit and from then on went weekly to the local cattle market in the town of Brighton. Around 1859 he opened his own butcher shop in Eastham and hired another brother to run it while he set up a second shop in Barnstable. By this time Swift had wed Annie Higgins; they would have nine children. Swift soon opened other shops in Clinton and Freetown, Massachusetts. He recognized certain principles of retail psychology that helped make his stores a success. His butcher shops were clean, and he tried to display his wares attractively on large white marble trays. He displayed the cuts he needed to sell first and offered smaller cuts, which seemed to induce shoppers to buy more. Swift expanded his operations rapidly. He began a meat wagon business and soon became a wholesale cattle dealer. In 1872, he entered into a partnership with James A. Hathaway, a Boston meat dealer. He took the business westward, to Albany and Buffalo, New York, and finally to Chicago in 1875. Chicago was the center of the cattle trade in the United States. It was a railroad hub serving all regions of the country and was close to the Great Plains. Its South Side rail yards were the site of the famous Chicago Stockyards, where cattle were penned before shipment elsewhere. Some of the breeds still roamed the plains freely, descendants of European stock brought over by the Spanish in the 1500s. As the cattle buyer in his partnership, Swift came to realize that shipping live cattle from Chicago to the country's most populous markets along the Atlantic seaboard was an inefficient strategy. The cattle had to be fed along the way, some died in transit, and—since the railroads charged per pound—huge freight charges added tremendously to the cost of doing business. Smith also worried about the expenses involved in waste, since many parts of the slaughtered animal were unusable. A 1,000-pound steer might yield 600 pounds of beef, but the rest was a loss for the company, since someone had to be paid to cart it away. Swift believed that butchering cattle and shipping dressed beef was a far more profitable idea. He tried it with one carload in the winter of 1877, and it was a success. Still, railroad-car refrigeration technology was inadequate for the rest of year, and even in the winter months proved problematic: a shipment might freeze in one city, then thaw in another. Hathaway, Swift's Boston partner, was wary of the idea and exited the partnership with a $30,000 buyout. Swift used some of that money to hire an engineer to perfect a refrigeration car that used circulating fresh air cooled by ice and established his meatpacking business in Chicago. He approached the McMillens, a wealthy railroad-car family in Detroit, to become his partners, and they agreed to build the first refrigerated cars. Swift made arrangements with the holders of various patents on the parts used for the refrigerated cars and created his own design. He contracted ice harvesters in Wisconsin to produce enough ice for the cars and established icing stations along the railroad routes heading east. The meatpackers in Chicago, who made pork and mutton products, at first paid little attention to Swift's dressed-beef enterprise. Swift was viewed as a Yankee who did not know the business. His real opponents were much more formidable. For one, consumers in Eastern cities did not trust that meat slaughtered elsewhere, perhaps a week before, was safe. Local butchers warned of dire consequences. The railroads also opposed Swift, for they preferred the larger freight revenues from shipping live cattle. Forming a cartel against Swift, they began charging exorbitantly high prices for dressed meat. Swift was ingenious in conquering these obstacles. He mounted large-scale advertising campaigns to win public confidence and made advantageous partnerships with local butchers. For transport, he negotiated with the Grand Trunk Railway, whose line ran through Michigan and Canada and had never made much profit shipping cattle. Its owners gave Swift a more favorable rate, and Swift and Company was officially incorporated in 1885. From the start, Swift's South Side plant was a model of time-saving production principles. Upton Sinclair described its efficiency with contempt in the muckraking novel from 1906, The Jungle, detailing the work of the men who butchered steer for the fictitious Durham Company, modeled after Swift & Company: "They worked with furious intensity, literally upon the run—at a pace with which there is nothing to be compared except a football game. It was all highly specialized labor, each man having his task to do; generally this would consist of only two or three specific cuts, and he would pass down the line of fifteen or twenty carcasses, making these cuts upon each." Swift's company grew phenomenally. Profits rose because of Swift's belief that cleanliness reduced spoilage and losses. He hired engineers and chemists to find uses for the byproducts of cattle slaughter. Sinclair's description of the Durham plant aptly detailed the progress Swift made in reducing waste: "No tiniest particle of organic matter was wasted in Durham's. Out of the horns of the cattle they made combs, buttons, hairpins, and imitation ivory; out of the shinbones and other big bones they cut knife and toothbrush handles, and mouthpieces for pipes; out of the hoofs they cut hairpins and buttons, before they made the rest into glue. From such things as feet, knuckles, hide clippings, and sinews came such strange and unlikely products as gelatin, isinglass, and phosphorus, bone black, shoe blacking, and bone oil. They had curled-hair works for the cattle tails, and a 'wool pullery' for the sheepskins; they made pepsin from the stomachs of the pigs, and albumen from the blood, and violin strings from the ill-smelling entrails. When there was nothing else to be done with a thing, they first put it into a tank and got out of it all the tallow and grease, and then they made it into fertilizer." Swift was also an innovator in automating his plant. An overhead trolley carried cattle carcasses to the various processing stations on the floor. The system reportedly gave carmaker Henry Ford the idea for the first automobile assembly line. Swift's was one of first companies in modern business history to boast complete "vertical integration:" it had departments for purchasing, production, shipping, sales, and marketing. The company established plants in other cattle towns, such as St. Louis, Kansas City, and St. Joseph, Missouri; Omaha, Nebraska; St. Paul, Minnesota; and Fort Worth, Texas. Then Swift moved on to international territory. He captured the British market, and he exported beef via refrigerated compartments on ships to distributing houses he established in Tokyo, Osaka, Shanghai, Hong Kong, Manila, Singapore, and Honolulu. 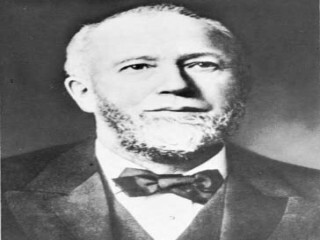 He expanded into pork and mutton products as well, and at the start of the twentieth century the company he had founded just 15 years earlier was worth $25 million. Swift was known as a tough taskmaster who regularly inspected plants and tyrannized employees when he found evidence of waste—even pencil stubs in office wastebaskets. He wrote his business correspondence on half sheets of paper. He sometimes inspected "Bubbly Creek," the fetid stream into which the slaughterhouses dumped their chemicals and unusable byproducts, making sure that nothing of value—such as a piece of animal fat that could be used to make soap—was leaving his plant. He once hired an efficiency expert to make suggestions at the office headquarters but then fired him as a fraud. The man protested on grounds of breach of contract, and Swift agreed to keep him, but sent him to squeegee blood into the drains at the slaughterhouse. Swift and his family lived near the Stockyards until 1898, when they moved to a home on Ellis Avenue in Chicago's affluent Kenwood area, adjacent to Hyde Park. The area was also home to the University of Chicago, one of the local institutions that benefited from Swift's philanthropy. He was a trustee of the university for many years. In 1895, he donated money for a building in memory of his daughter, Annie May Swift, that eventually became Northwestern University's School of Speech. He was also a benefactor of St. James Methodist Episcopal Church. Swift and his rivals, who owned the Morris and Armour plants, were known as Chicago's meatpacking barons, and public opinion eventually turned against what was called the "Beef Trust." In 1902, the company came under federal scrutiny as the first of the anti-trust prosecutions brought by the U.S. Attorney General on orders from President Theodore Roosevelt. The firms of Swift, Armour, Morris, and three others were indicted for price fixing and other business conspiracies. In response, Swift, Armour, and Morris merged into the National Packing Company; others soon joined, and their hold on the beef industry remained strong. Swift died on March 29, 1903, in Chicago, Illinois, after an operation caused internal bleeding. Management of the company remained in family hands, for Swift was fond of asserting "I can raise better men than I can hire." In 1905, in another anti-trust case, Swift & Co. v. the United States, the U.S. Supreme Court ruled against Swift's company and its practices. Government legislation—such as the Pure Food and Drug Act of 1906, the Meat Inspection Act, and the Packers and Stockyards Act of 1921—soon regulated the meat industry. In the 1980s, Swift's company fell victim to the leveraged buyouts of the era but survived as Armour Swift-Eckrich, owned by ConAgra. View the full website biography of Gustavus Swift.